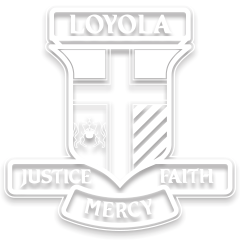 Student leadership at Loyola College encompasses both formal and informal roles where students are encouraged to gain a deeper sense of what it means to be a leader in an Ignatian school. Essentially, this means to empower our young people to be men and women for others, in building a fairer and compassionate world. Through the various leadership programs, students are encouraged to develop qualities which are regarded as pivotal to Ignatian spirituality. These include, cultivating critical awareness, realising the crucial need for discernment and taking responsible action. In doing so, our leaders are encouraged to be role models for one another and to be the ‘student voice’. Formal leadership at the College is formed through the following committees. These students support one another in leading the student body in a number of ways. In addition, students are provided with opportunities to lead informally through various programs, such as Christian Service and Sporting programs, as well as via the House and Mentor activities.